We'll help you save on Coachman Insurance! Since 1979, Coachman Insurance Company has been a leading provider in high risk auto insurance. 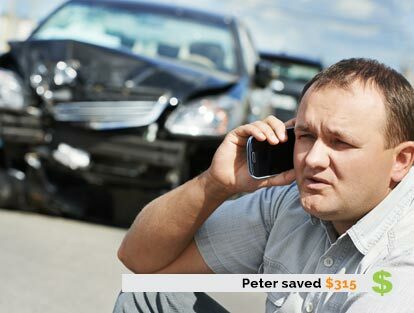 They are the company to use if you are having issues getting auto insurance coverage from other providers. 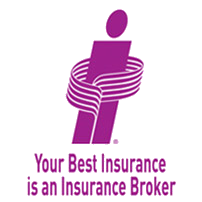 The company also offers a variety of property and casualty insurance products in Ontario. For the last decade, they have offered consumers a specialized collection of personal and commercial insurance products for individuals, small business owners, contractors and others in need of insurance coverage. Coachman was purchased by SGI CANADA in 2001, a company that has been in business for more than 60 years. However, the company continues to embrace its independent insurance broker network to provide exceptional customer service to its patrons. Why Get An Insurance Quote And Coverage With Coachman? They specialize in non-standard auto insurance coverage : Whether you have had a few accidents, a speeding ticket or two, or even been convicted of a driving offense, Coachman auto insurance coverage helps drivers in need when other insurance companies are not willing to take the risk. Wide selection of insurance products : Whether you need home, auto or business insurance, Coachman offers a large selection of affordable insurance solutions through ThinkInsure. Small business coverage : Coachman takes care of us small guys by offering commercial insurance products for contractors and small businesses to help you protect your investment against risk and loss. Discount programs : Coachman rewards its loyal customers by offering a variety of insurance discounts, helping you save even more on your insurance policy. Coachman specializes in providing high risk auto insurance coverage for rehabilitating drivers, as well as coverage for drivers of all types – students, seniors, new drivers and more. Coachman offers home insurance solutions that can be tailored to your specific needs as a homeowner. They offer coverage for homes, detached private structures, personal property and coverage for personal liability from loss. Homeowners’ policies through Coachman include premium payment options, fast claims, service line coverage, guaranteed replacement cost, increased limits coverage and much more. Own a condo? Coachman offers condo insurance policies that fill the gaps and provides you with coverage that extends beyond the coverage of your condo corporation. With coverage that can be tailored to meet your specific needs or through an all-in-one package, you have condo insurance options. Condo insurance coverage with Coachman includes your choice of deductibles, prompt claims services, home systems protection coverage, increased limits coverage and more. Even when you are renter, you need insurance coverage to cover your personal belongings. Coachman insurance offers coverage for renters that extend beyond your landlord’s insurance coverage. Coachman’s renters’ insurance policies include a choice of coverage options so you can customize your policy to meet your unique needs, a choice of payment options, a choice of deductible amounts, and reliable coverage from a dependable insurance company. Contact us today toll-free at 1-855-550-5515 to get a Coachman Insurance quote. One of our insurance brokers will be happy to assist you with your quote or any questions you have about Coachman and their insurance coverage options. Coachman offers commercial auto insurance coverage for businesses that use vehicles. They offer a variety of coverage options including cargo insurance for companies that transport goods. Coachman’s truck cargo insurance is designed to protect you and your customers. The Cargo Secure product will meet the needs of the trucking industry and its clients. Coachman also offers surety bonds. They offer three types of bonds: contract bonds, commercial surety bonds, and fidelity bonds. Not sure which commercial insurance coverage is right for your business? Contact a ThinkInsure broker today toll-free 1-855-550-5515 to get a Coachman Business Insurance Quote. Residential home insurance discount : Qualify for insurance savings by being claims free, mortgage free, adding security features and more. Learn more here. 5% multi-vehicle discount : Insure more than one vehicle on the same policy. Auto insurance discounts : Qualify for additional discounts for combining your home insurance coverage or by being a claims free driver for at least 5 years. Maximize your insurance discount possibilities by getting a Coachman home or auto insurance quote through ThinkInsure. Our brokers will ensure you get the coverage you need at rates you can afford.